3ptechies » business technology » Is IDrive Cloud Storage Better for Business or Personal Use? Nowadays, there are so many options when it comes to cloud storage services. All of them come with different prices and more and more features. This is why it might be hard to find out the best option for you. Before you choose one service you should take into consideration a lot of things. First of all, you should decide if you want the storage option for personal use or for business. After that, deciding which features you need is a must. Your budget is another important thing you should take into consideration. Once you picked a provider, you should also check out CloudStorageAdvice.com for a full review of the service. There you can find in-depth reviews and comparisons of cloud storage options. In this article, we are going to talk about IDrive cloud storage service. After showing some of its main features, we are going to see if this service is better for personal or for business use. This cloud storage option is a great service which offers both plans for business and for personal use. You just have to pick the right plan for you. 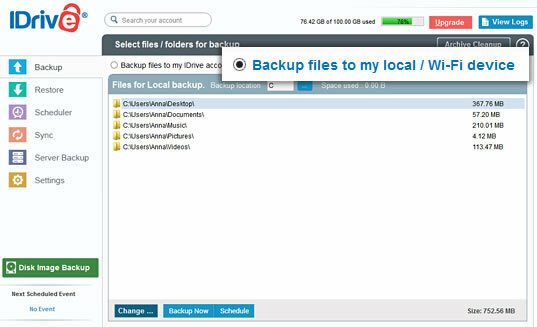 IDrive is a mid-range service which offers a lot of features including file backup, file restoration, and syncing option. All of these come with a great price. When it comes to file backup, this feature is simple to use and it works pretty fast. This makes it great for both personal and business use. You just need to install the app on your computer and let it do its job. File restoration is a great feature of this service. With this, you can restore all the compromised or lost files and folders. All you have to do is to select the files which you need and IDrive is going to show you the version of the files. After you have selected Restore Now all you need to do is to wait. They can be restored to the initial folders without you having to move them. This is a great feature for business use because more people from different computers can restore their files in no time. This service also comes with more advanced features like the file syncing option. The syncing option is a great feature for business use. All of the users can automatically sync their files after they must have edited them. They will be updated on all devices. The fact that this service offers file versioning option is another great plus for small and big businesses. Your employees can store different versions of the same file if somebody needs a different version of the same file. Almost 30 version of the same file can be stored in the IDrive. Like most cloud storage options, this also comes with file sharing option. This is great mostly for business use. Your employees can share their files with their colleagues whenever they want. It is also great for personal use when you want to share files and folders with your friends and family. IDrive offers two plans for personal use and two for business use. If you only want to use this service for personal use and you have a few files you want to store the free plan is ideal for you. IDrive offers up to 5 GB of storage space for free. If this is too little space, you should pick one of the other 2 paid plans for personal use. For less than $53 per year, you’ll receive up to 2 TB. You will be the only one who has access to the account but you can use it on multiple computers. The second paid plan for personal use offers 5TB of storage space for $75. When it comes to the paid plans for business this service offers 250GB of storage space for unlimited users and unlimited computers. You will need to pay $75 per year. The second plan offers 500GB with the same features for the price of $149. 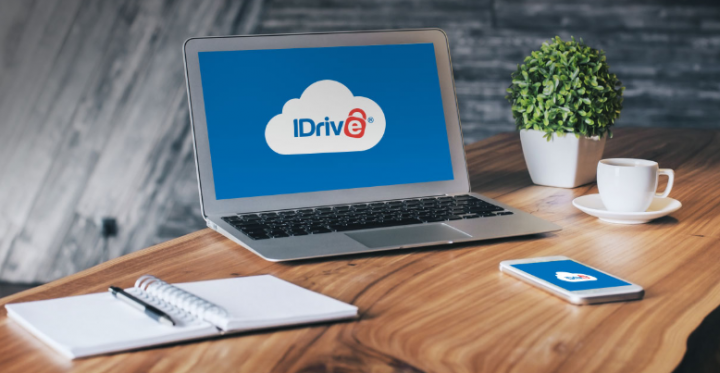 After taking a look at all of the features this service offers, we can say that IDrive is a great cloud storage option. The paid plans show that it is also affordable. Now, is it better for personal use or for business use? This little insight of ours shows that it is better for small businesses and for personal use. If you have a bigger business you should pick a different storage option. All in all, IDrive is a mid-range budget-friendly cloud storage option that can help you keep your files stored and secured. It can come in handy for data transfer, file recovery and for preserving data integrity when there’s a worry for files getting corrupt as a result of HDD crash and/or online virus attacks. Consider purchasing a paid plan for personal use if you have a lot of important files or folders to store. Also, if you have a small business, this service is ideal for you and your company. Hi, this is a really fantastic tips on cloud storage with full of knowledgeable thoughts. Readers always like to cloud computing tips when they are presented like this. You really did a nice job with this. What an amazing insight on iDrive cloud storage services. To me, it’s great for storing useful data and information. Thank you. I’d like to thank you for writing this awesome tips on cloud storage. These are the guidelines for our upcoming generation to learn from here and make themselves successful for the new digital age.